I have been practicing martial arts since I was about eight years old and I have taught martial arts since I was about 20 years old. I have now been an owner of a PaKua martial arts studio in Huntington Beach for the last 15 years. I’m writing this article because there are many people that just look for the martial art studio that is closest to them. That’s not necessarily a bad thing but it’s also not the most important either. This article isn’t going to tell you to just come to our school because we’re the best. My goal is to give you things to consider when choosing a martial art studio. How close is the martial art studio? I’m going to start here since the title of the article is “martial arts schools near me”. I have seen many times in the hundreds of students that we’ve had through our studio that the distance from your home or work to the studio is definitely important for the long-term success of the student. We have had students as far away as Las Vegas coming to take classes weekly. That is dedication but in the end lasted only a few months, understandably. For any form of exercise, especially martial arts consistency is key. If the studio is five minutes from your house you are a lot more likely to still train after a long day of work then if you had to drive an hour to get to the martial arts studio. Exactly how close should it be that depends on you and how much you like or dislike to drive. But you should ask yourself would you mind driving to class 2 to 3 times a week over the next three years or the rest of your life depending on how dedicated you are :) . Why do you want to practice martial arts? I have had many people ask me if PaKua martial arts is the best martial art and I think that depends more on the person then actual martial art itself. What I mean by that is if you want to be in martial arts tournaments then PaKua martial arts would be a pretty terrible martial art for you to practice because we don’t have any tournaments. If you like philosophy and other internal training aspects like meditation or tai chi then kickboxing or MMA probably isn’t going to be good for you. The best way to approach finding a martial art studio is to first know what you really want to do and the type of people that you want to surround yourself with and try a class. 1) Are there contracts and or penalties if you quit? 2) How often our belt test and how much do they cost? 3) Are adult martial arts classes separate from kid martial arts classes? 4) How long has the studio been around? 5) How much experience does the instructor or master have? 6) Are they part of an association or teaching things that they just learn on YouTube? 7) If you’re interested in learning weapons do they teach weapons? 8) Do they practice only stand up martial arts or only ground fighting or both? Do you have to sign a contract to practice martial arts? I personally don’t like contracts in any form. I like agreements and clear communication. The idea that if I don’t like the service and am no longer using it but still have to pay for it I don’t like that. In PaKua Huntington Beach martial arts and yoga we have never had contracts of any form. 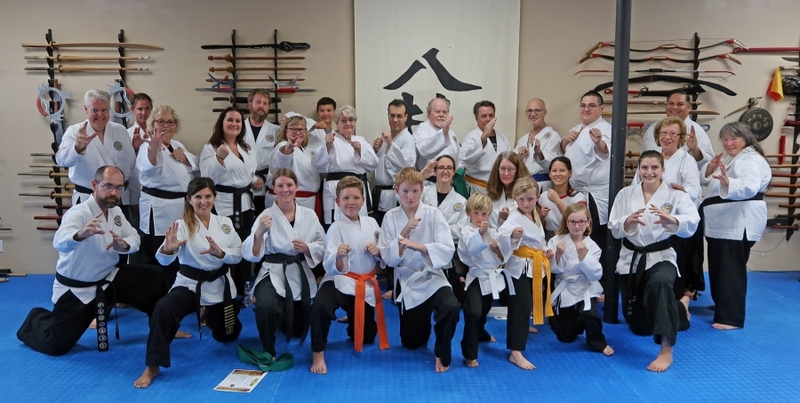 Students keep coming to martial arts classes because they enjoy the class no other reason. Be very careful if a studio is trying to get you to sign a contract some of the contracts even have an injury clause that if you get hurt you still have to pay. You have been warned. Will you get hurt practicing martial arts? How is the training mat and equipment? Clean? In good condition? Do they have social activities and events? Do they offer conventions or travel opportunities? If you get your black belt will any other locations honor your rank? Are you getting certified by the person teaching you or an association?